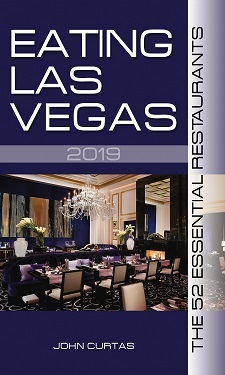 On July 14th, one of Las Vegas’s best restaurants will close, and slowly fade into another footnoted memory of gastronomic wonders gone by. Piero Selvaggio’s Valentino is not only one of our best, but it has also been one of our most influential eateries over the past thirteen years — a top shelf operation helmed by a passionate chef who considered it his duty to be at the stoves, not in front of the cameras. People tend to forget Luciano Pellegrini‘s James Beard Award for Best Chef Southwest in 2004, but it was this early recognition (along with Bradley Ogden’s Best New Restaurant award in the same year) that put our culinary scene in the world’s cross hairs, and directly led to the French revolution (Robuchon, Savoy et al) that was soon to follow. No, as much as we’ll miss all of those sensations (and the knowledge that this is one place we could always pop into and never be disappointed), what we will always remember will be those nights sitting at the bar or around the table with Piero, while Luciano brings us course after course of Italian food straight from his heart — the both of them regaling us with information, anecdotes and storytelling about every bite and sip we would take. Because, as good a restaurateur as Selvaggio is, and as good a chef as Pellegrini is, they are even better conversationalists, and sitting down with them was one of the great experiences one could ever have in any restaurant, anywhere. It is those conversations we will miss as much as the brilliant food and wine. …and it is what these gentlemen brought to the table, far beyond what they actually served you, that Las Vegas will be poorer without. Any strip casino not grabbing Luciano and giving him a restaurant is foolish. He has a huge following and is one of the few in house James Beard award winning chefs we have in Vegas. I spent many birthday’s dining at Valentino. Luciano always made it special. I hope he finds a new home where I can spend more birthday’s dining on his excellent cuisine! I raise a glass of Grappa to you Luciano and Piero, you will be missed! I remember more than one fabulous feast at Valentino, but the one that stands out was a dinner attended by ELV, the Food Gal, Chef Pellegrini and Msr. Selvaggio. From what I remember, the dinner started with addictive parmesan crisps and included a seafood course of baby abalone sourced from Australia. If you leave the table and remember, years later, that a Chef served delcious, tender, sweet baby abalone then you know you had a memorable experience. Few meals leave us with that kind of experience. I’ll be visiting Valentino one last time in July. I can hardly bear the thought of the doors closing, but such is the fate of changing times. ELV, any insight into why they are closing? Lack of business? Casino opting to change venue? Overall, it was one of the more un-memorable meals we’ve had in Vegas. There isn’t a decent italian restaurant around that can’t do the same, if not better, and all at a more approachable price point. We went once, and would never go again.